Should I Decorate or Automate? So you’ve got some spare cash to spend on the house. What to do, what to do? With smart home technology being more affordable, efficient, and easier than ever to integrate into the existing household, you may be wondering what the smart revolution has in-store for you. But is automation the only answer to improving your home living? Perhaps more traditional forms of decoration will fulfil your renovation goals? Let’s take a look at the advantages of both decorating and home automation to find out. Do you want to make a fresh start with your interior décor, but don’t want to spend a fortune? If your renovation goals are within reason, you won’t need a lot of time, money and energy to rejuvenate the look of an ageing house. Interior plants are an easy way to bring natural beauty and freshness into the living space. There are many potted plants that are pet-friendly, non-toxic and easy to maintain such as palms, ferns, anthuriums, peace lilies and orchids. Not only do these plants look fantastic – studies have shown the colour green can also help some people relax and calm down. Want to make a more dramatic change? Add some colour and brightness with a fresh coat of paint. If you have time and skills to do it yourself, you can save a lot of money and everything you need is available at your local hardware store. Depending on the scale of your painting job, the work can be done in just a few days. And the results? Your friends, family and guests will be impressed by your new look. Better yet, give your home a distinctive touch with our very own water beads. Made from 100% non-toxic and biodegradable polymer, these are a fantastic room prop that provides a refreshing dose of colour, light and character. Our water beads are a treat for the eyes and highly durable. Put them in a vase with your favourite plant. Place them near a light source or atop a light table and watch as they glisten. Fill up a bowl and let your children – with adult supervision – go wild with the water beads to feel the soft, squishy texture (don’t worry, they won’t break easily either). Does your home lack the facilities to host a memorable party? Whether you want to host a dinner party, birthday party or holiday-themed event, smart technology gives you many entertainment options. With an integrated home entertainment solution, you can access all your favourite music, movies, games, and TV shows in one place. Love blasting music at home? Take your listening experience to the next level with a multi-room smart speaker system. Simply use the integrated control system or download a streaming service app like Spotify or Apple Music onto your smartphone to play a whole heap of music from a convenient, easy to access online library. If you have smart Bluetooth LED light bulbs (the ones that change colour), you can use the colour-changing capabilities to have the lights change the hue to the beat of the music. By downloading the LED manufacturer app onto your smartphone or tablet, you can choose an individual bulb or group of bulbs, sync up with your music, and press play. Decorating your home gives you the chance to express yourself freely. From repainting the interior space, to hanging up pictures and rearranging the layout – your personality shines through every aspect of the house. 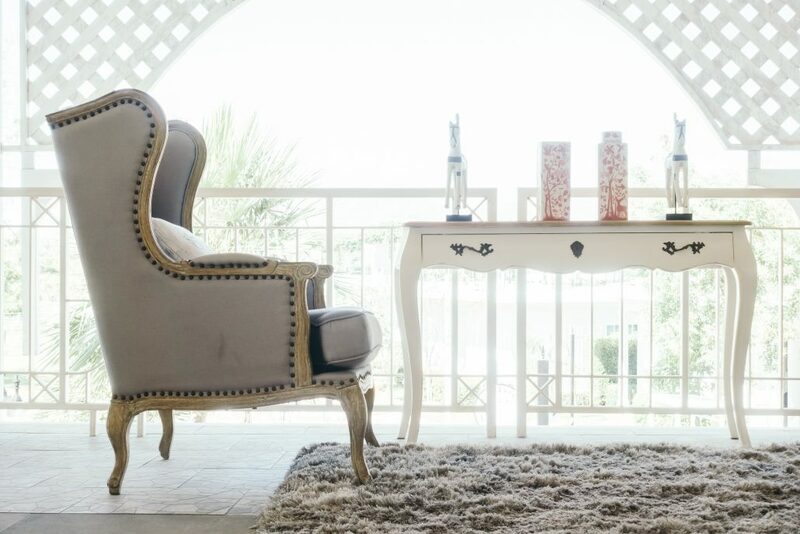 For a unique touch that won’t cost a fortune, head to your nearest op shop, garage sale or specialty store for some vintage furniture. You’ll be amazed at the quality of the merchandise and although you won’t strike gold every time – those special moments when you do will make the journey worthwhile. From repurposed coffee tables to decorative plates, china cabinets and bed frames – you’ll find an abundance of treasure just waiting to become your next marvellous centrepiece. Whether you decorate or automate, it’s important to reflect on your lifestyle needs and think about ways to enhance the home experience with visually stunning, fun, engaging and practical additions. After all, you’ve worked hard to treat yourself – so what are you waiting for? https://waterbeadsaustralia.com.au/wp-content/uploads/2018/01/shutterstock_390433240-1.jpg 3648 5472 Dion Lovrecich https://waterbeadsaustralia.com.au/wp-content/uploads/2017/02/water-beads-polymer-logo-retina-400.png Dion Lovrecich2018-01-04 16:45:042018-01-04 16:45:04Should I Decorate or Automate?